If you like pink, these are the cushions for you. 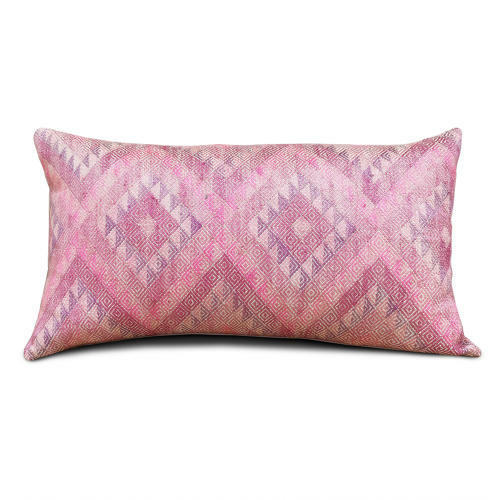 They are made from a silk Yao wedding blanket in various shades of pink in a geometric pattern. The cushions are backed with vintage hemp, dyed pale pink. There are zip fasteners and feather pads.